Over the winter, we will be running Express Dressage format! No hanging around in the cold. Just turn up, do your tests and get home. A lovely relaxed format. Results will be posted later that day and rosettes and sheets posted out to you. £13 per class to include postage of test sheets and any rosettes. Competition will be ran under British Dressage Rules. Any horse and rider combinations with points at BD must enter intro classes H/C. Horse and rider combinations competing at BD novice level or above must enter prelim classes H/C.Horse and rider combinations who are placed 1st at a level in more than two competitions must either enter H/C or move up a level for future competitions. Competitors may enter a single class or consecutive classes (eg 2 and 3). Parking is limited. To help us please arrive a maximum of 30 minutes before your first test and leave as quickly as possible after you've finished competing. 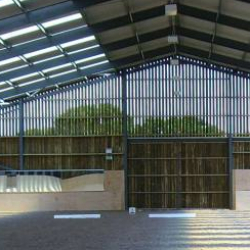 Warm up is in the outdoor arena and tests will be ridden in the indoor arena. You will ride you first test, then stay indoors while another rider does their test, then you will ride your second test. Callers will be available if needed. Riders dress code - jackets / cream jods. No refreshments will be available. Results will not be available during the day. They will be published online later that day and test sheets / rosettes posted out the following week. Parking will be available in the main car park and on the drive. Please put your car / lorry registration on the entry form, in case we need to move your vehicle. Please share lifts where possible. Entries will be limited and taken on a first-come-first-serve basis. Once we are full entries may be put on a waiting list if requested. No refunds are available after the closing date. Payment by cheque - made payable to Benridge Riding Centre or by Bank Transfer. Please email your entry form and on the bank transfer reference competitors surname and competition date.